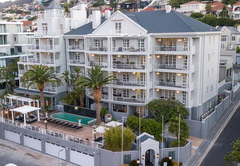 Romney Park Luxury Apartments is a highly recommended Green Point hotel providing accommodation for tourists visiting the Atlantic Seaboard region. 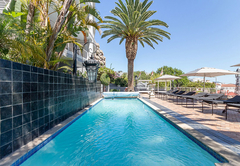 Romney Park offers comfortable accommodation in Green Point. 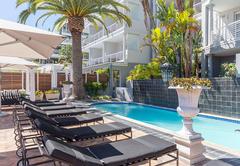 Romney Park, as a hotel, held the title of Best 5-Star All Suite Hotel in South Africa for six consecutive years. 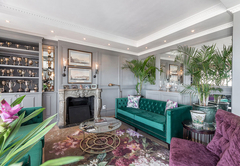 Recently renovated, Romney Park has re-opened as an ApartHotel and offers one, two or three bedroom apartments. 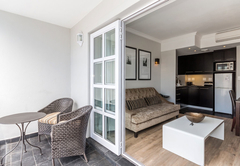 With a combination of the homely comforts you have come to expect, the modern, sophisticated apartments are all fully furnished and include a kitchen, full en-suite bathrooms, spacious living rooms and balconies with panoramic views. 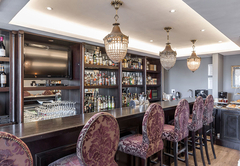 Facilities include a restaurant, bar, business centre, secure parking and a swimming pool. The hotel rooms include a safe for valuables, a hairdryer, bathrobes and tea / coffee station. There is free Wi-Fi, air conditioning and daily housekeeping. A laundry service is provided and there is DStv. 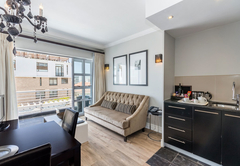 The apartment has two bedrooms; the main is furnished with a King-size bed and has an en-suite bathroom. The second bedroom has twin beds and a separate bathroom. 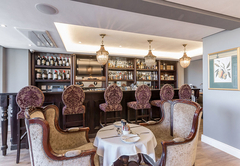 There is an open plan lounge and dining area which opens onto a balcony and a fully equipped kitchen. 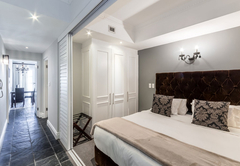 The suite has one en-suite bedroom furnished with a King-size or twin beds. There is an open plan lounge / dining area and a kitchenette. The apartment has three bedrooms; two en-suite rooms are downstairs and one, with a separate bathroom is upstairs. There is a full kitchen. Top floor apartment with 3 bedrooms and 3 bathrooms. 2 Bedrooms and 2 bathrooms are downstairs and the 3rd bedroom and bathroom are upstairs. Breakfast is included in the rates and is served each morning in the breakfast room. Sea Facing suite with king or twin beds and an en-suite bathroom. 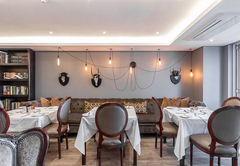 The suite has an open plan lounge / dining area and a kitchenette. Sea facing, 2 Bedroom, 2 bathroom suite. 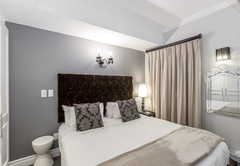 Main bedroom is en-suite with king size bed with a second bedroom with twin beds and a 2nd bathroom. Open plan lounge and dining area opening onto a balcony and a fully equipped kitchen. 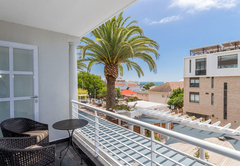 Sea facing, 3 bedroom unit all bedrooms with en-suite bathrooms. There is an open plan lounge and dining room. I was fortunate to stay for a few days at this exquisite hotel in 2006. I was in the Ambassador suite and when I arrived in my room I screamed with joy! The balcony view was breath taking. When I first arrived at the hotel, I felt like a celebrity, they treated me like royalty! The service was top class, when calling for assistance at reception, they are prompt to serve you! Amazing experience! I would go back in a heart beat! Response timeRomney Park Luxury Apartments typically responds to requests in 5-10 minutes.